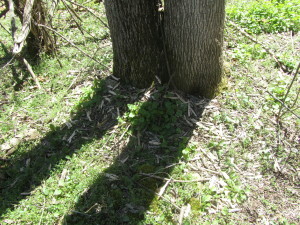 These Ash trees are at Oatka Creek Park near the fishing access on the north side of the creek. 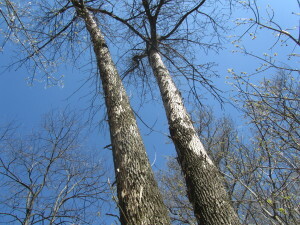 Woodpeckers searching for the larvae peel off strips of bark which look like mulch at the base of the trees. 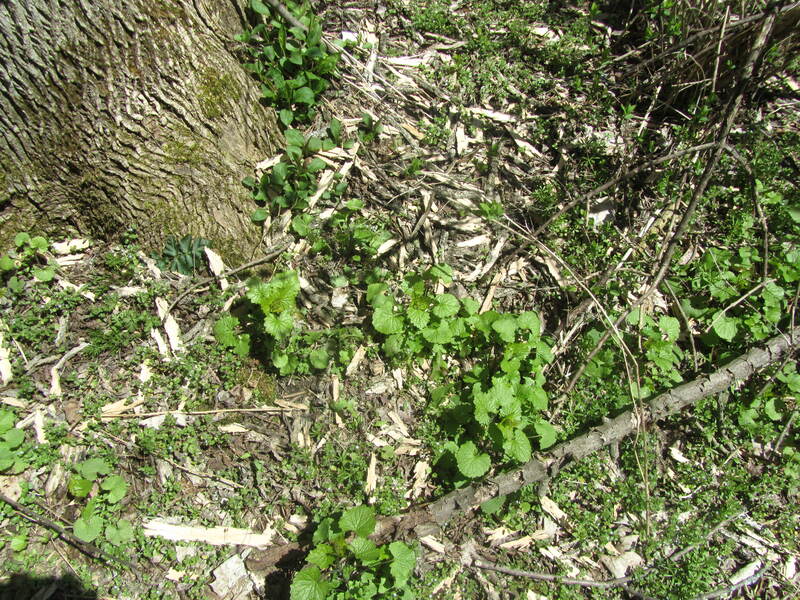 The ground photo shows another invasive species – Garlic Mustard – which seems to be everywhere these days! State Agriculture Commissioner Richard A. 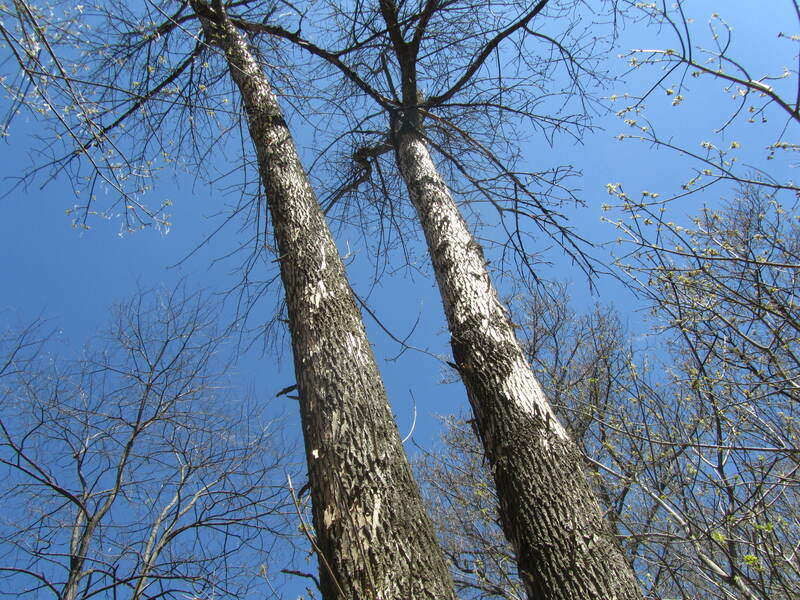 Ball today announced new efforts to combat and slow the spread of the emerald ash borer (EAB), an invasive beetle that damages and kills ash trees in forested and urban settings. 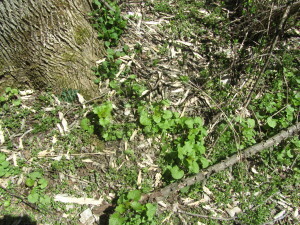 The New York State Department of Agriculture and Markets and New York State Department of Environmental Conservation (DEC) have revised the State’s EAB management regulations, providing greater protection for un-infested communities and forests, allowing municipalities opportunity to prepare and better plan for future infestation, and easing restrictions on the forest products industry. Here are more pictures of our wonderful Trees for Tribs volunteers! Thanks to everyone who participated! 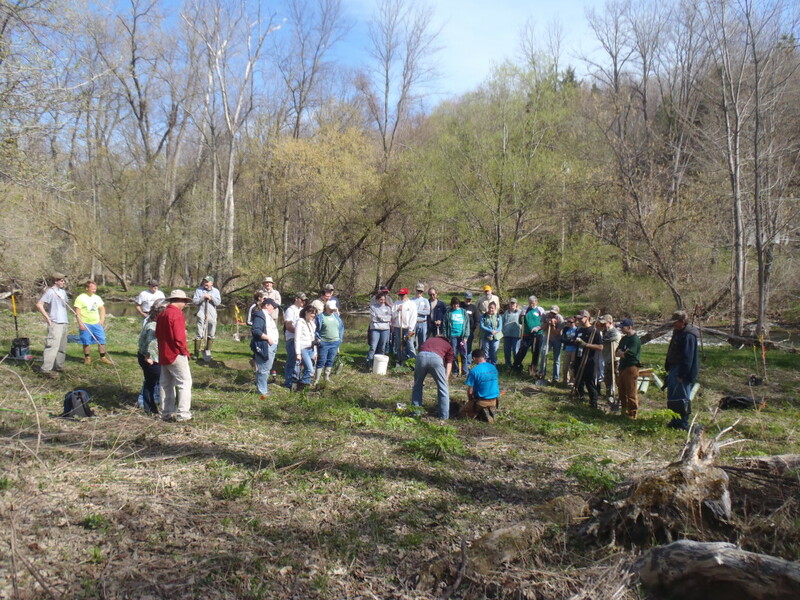 The kick off of the NYS DEC Trees for Tribs project along the Oatka fishery got off to a splendid start thanks to the wonderful hard work of 36+ volunteers and the great planning of Pete Lent of the OCWC, Steve Leupold, Melissa Marszalek of Genesee Country Village & Museum and DEC Foresters Gary Koplun and Mark Gooding. 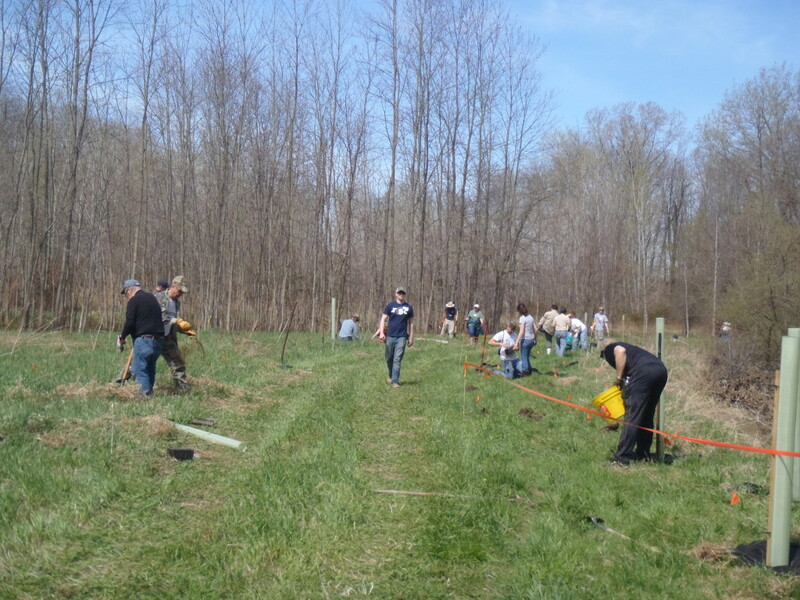 We had beautiful weather for the event, and the volunteers got the 271 trees and shrubs planted, protected and watered in a matter of a few hours! 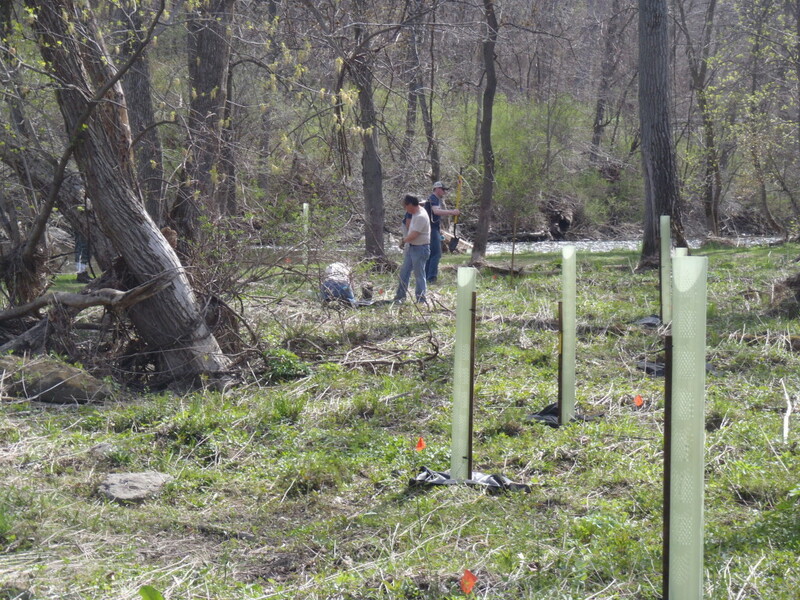 Pete was back to water the plantings yesterday, and things look pretty good! If you would like to help with the watering and monitoring of the plantings, contact Pete or Melissa. It’s a great excuse to hang out in a really pretty area of the Creek! 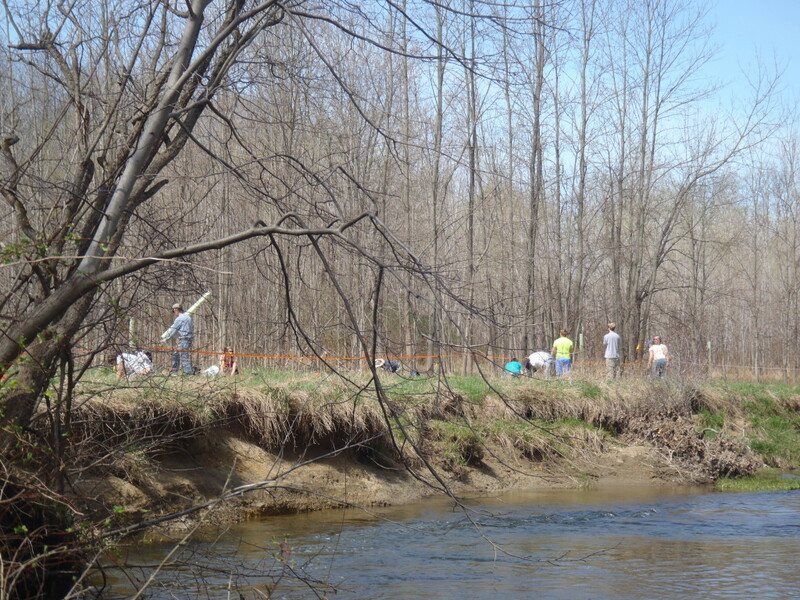 Also, stay tuned for more pictures, and more information on future phases of the project!